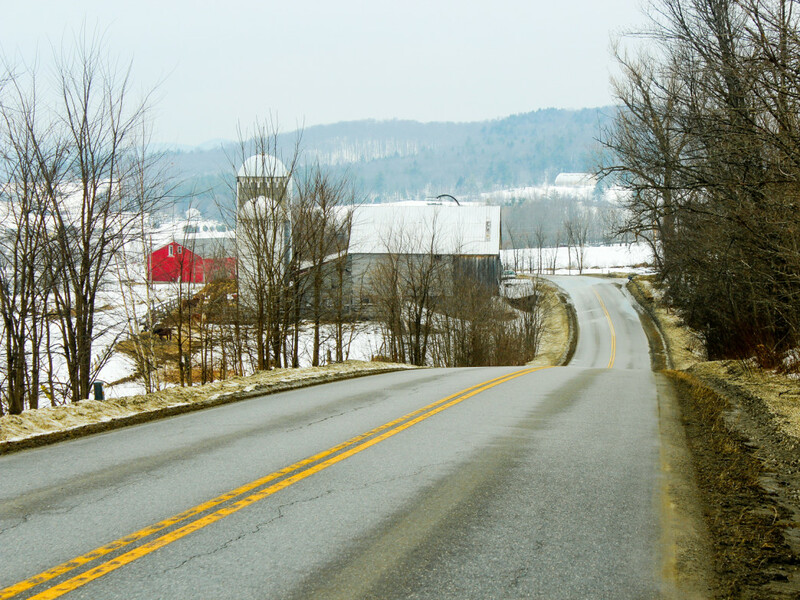 A ride along beautiful backcountry roads offering challenging rolling hills and panoramic vistas of the Vermont countryside and its surrounding mountains. 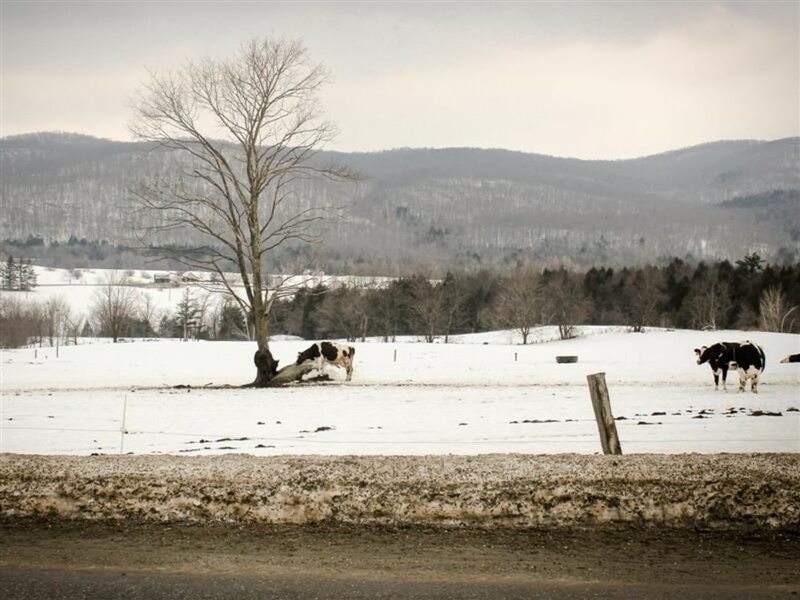 This 39-mile ride through the small towns of Jericho, Underhill, Cambridge and Westford gives riders an excellent tour of the Vermont countryside with its miles upon miles of farmland, barns, cows, stunning mountain views and rushing rivers. There is even a challenging ascent heading up Pleasant Valley to kick the workout factor up a notch. The roads along the route are all paved and in decent condition. This ride was originally created by members of the Green Mountain Bike Club, the oldest and largest cycling club in Vermont. The rolling hills and stunning landscape make this an enjoyable, but challenging ride. The steep ascent on Pleasant Valley is accompanied by many other smaller, but still demanding rollers throughout. Their fast and fun descents make the hard work well worth the effort. The meandering rivers along many of the roadsides, the farm animals around every twist and turn and the stunning mountain views will keep cyclists captivated for the ride’s entirety. The ride begins in Jericho at the elementary school and heads down Route 15 into Underhill where riders will bear right onto River Road. After about 2.5 miles continue straight at a stop sign where River Road turns into Pleasant Valley Road. Bear right onto Upper Valley Road and follow to the end. Take a left on to Church Street and then a left onto Route 15. Bear right onto Route 104 at the Boyden Winery and continue to Route 128. Take a left onto 128. Follow 128 back through Westford, taking a left onto Weed. At the end of Weed take a left onto 15 and head back to the car. Easy to turn into a 63-mile ride by turning right onto Route 15 to 108 North. Take a left on Route 36, left onto South (South becomes Fairfield), right onto Fairfax, right onto River and take an immediate left onto Route 104. Continue straight onto Route 128 and finish the same way as the shorter version. Traveling through each of these quaint towns gives riders a sense of day-to-day life in rural Vermont. It also provides riders with a lot of options for stopping along the way and grabbing something cold to drink or a quick creemee, Vermont’s version of soft serve ice cream, to cool down and relax. Riders looking for a fun and scenic ride along the backcountry roads of Vermont. Be prepared for this to be more than just a cruising ride though as the rolling hills will provide quite a workout, especially the steep ascent on Pleasant Valley. Those looking for mountain views or spots to take pictures of the Vermont countryside will be very happy with this route. Park at the Jericho Elementary School. There are no fees associated with this ride.